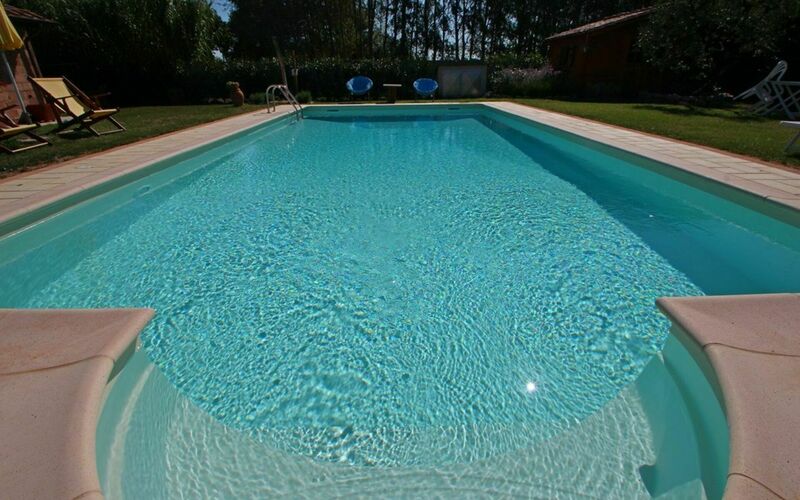 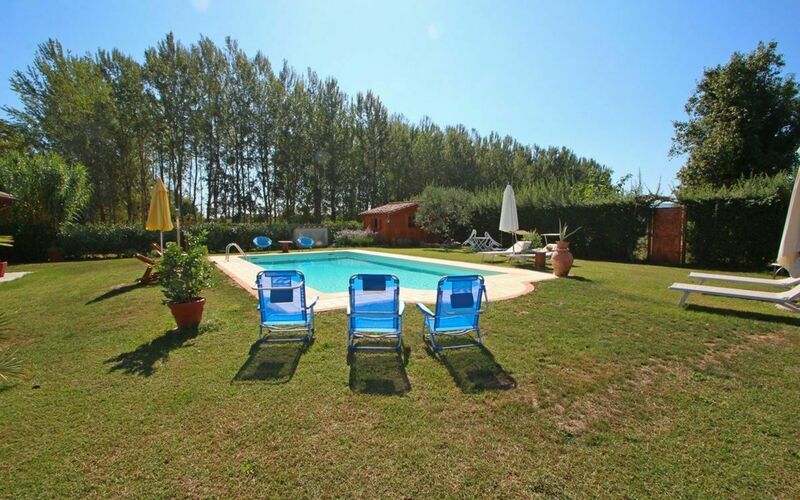 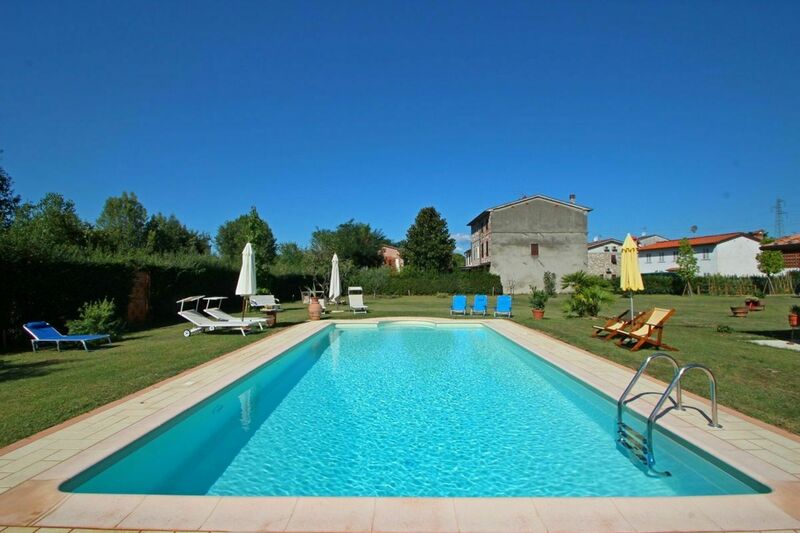 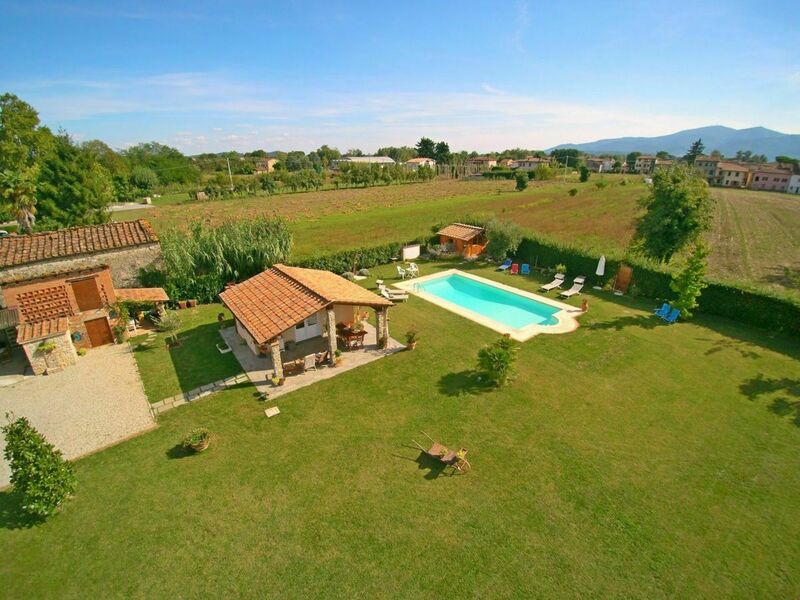 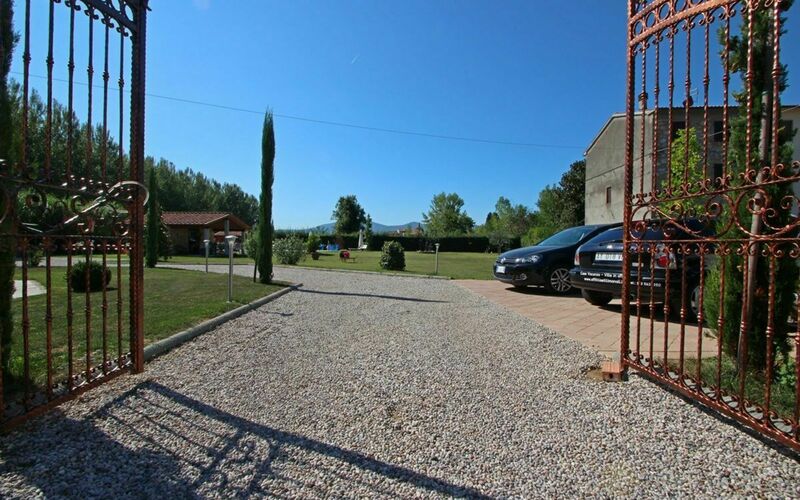 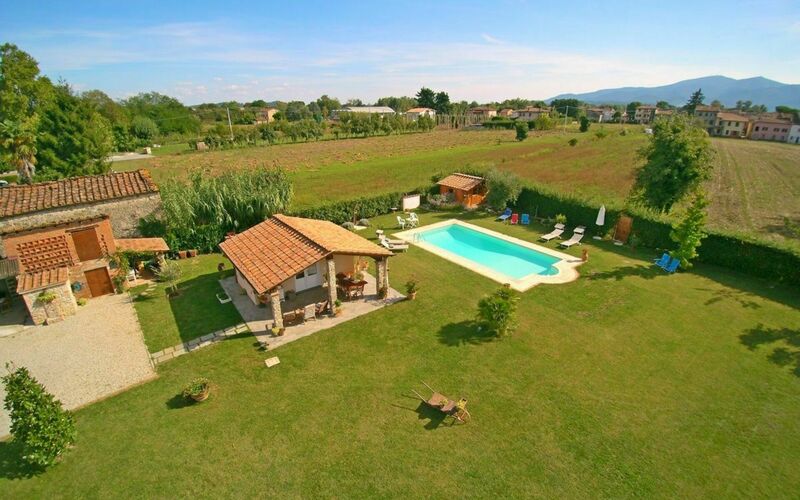 We are located in beautiful Tuscany, in Capannori, less than 1 hour from the beaches of Versilia (Viareggio and Forte dei Marmi) and 15 minutes from Lucca and Pisa. 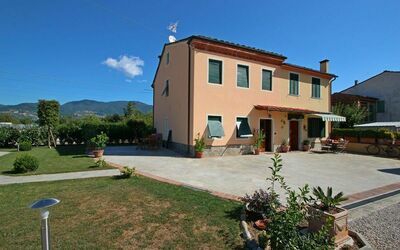 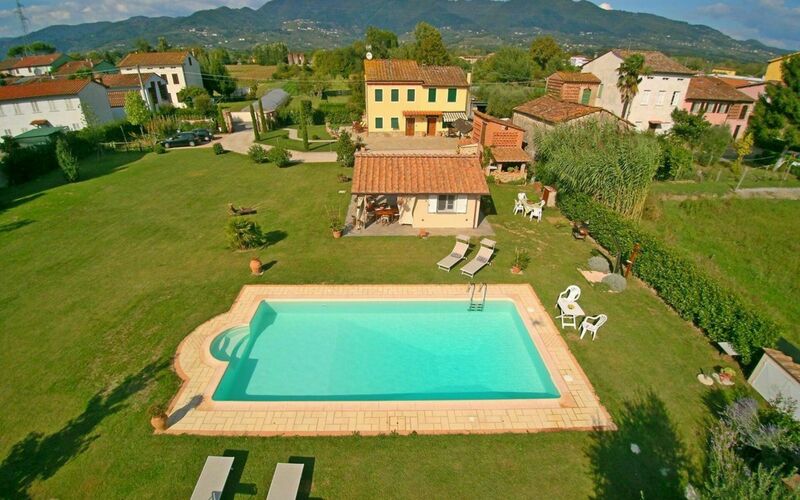 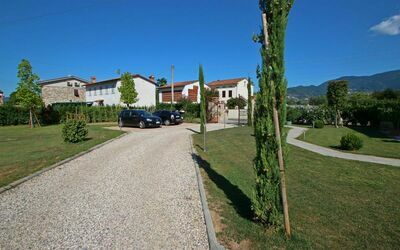 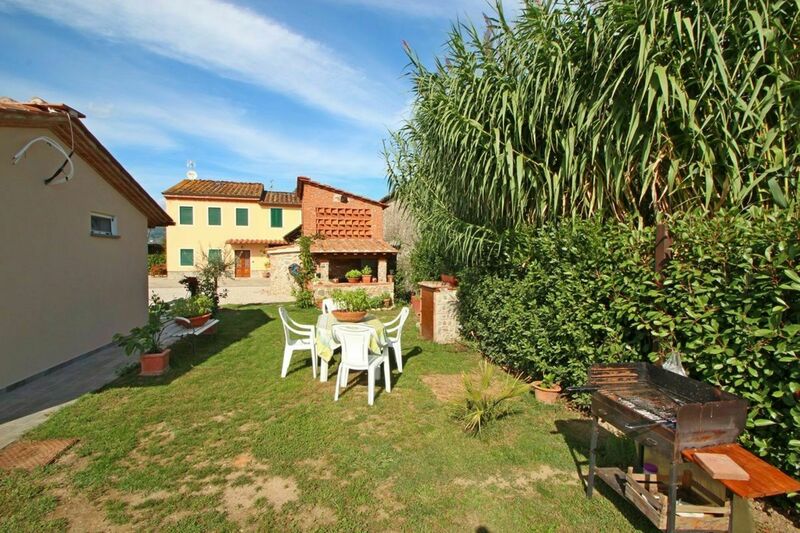 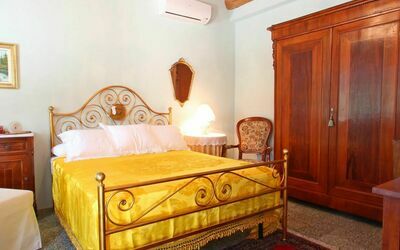 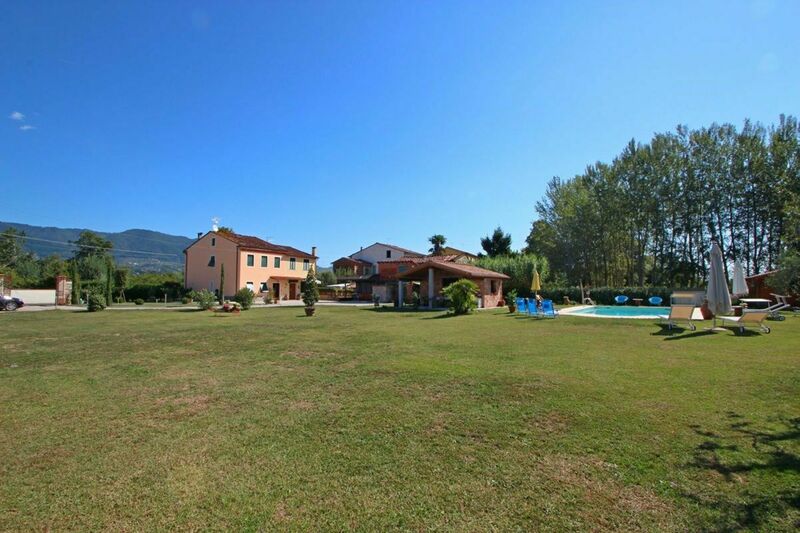 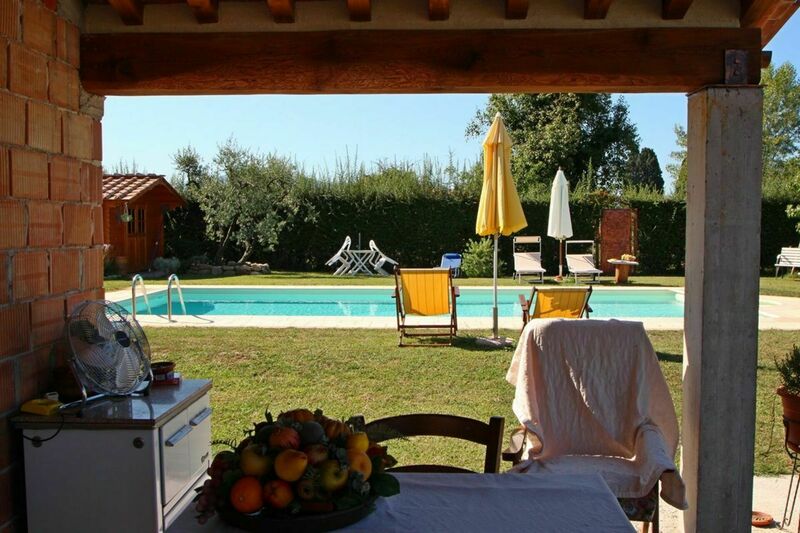 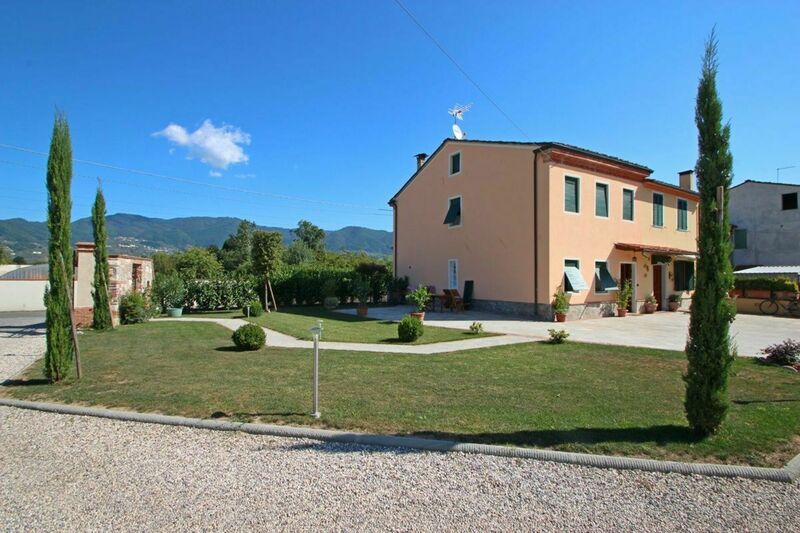 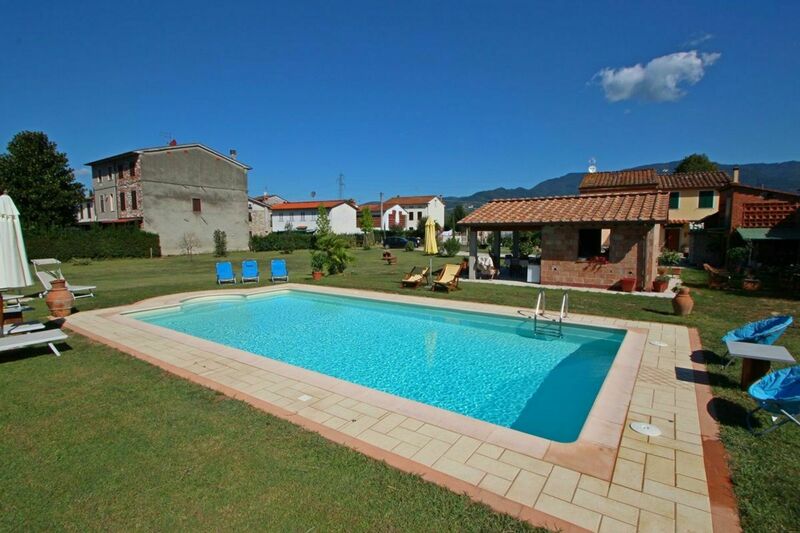 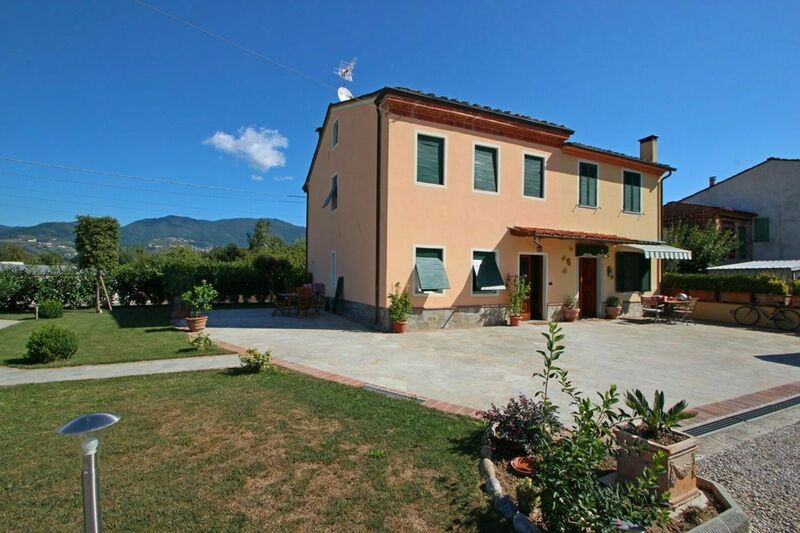 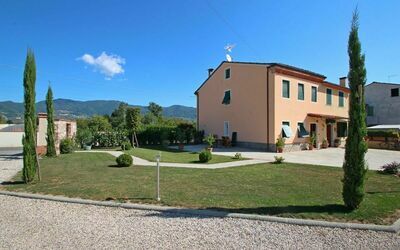 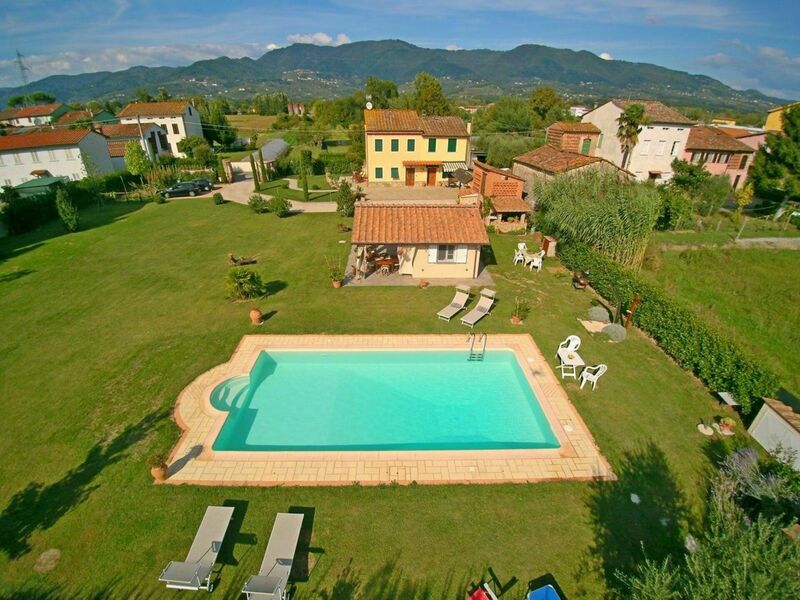 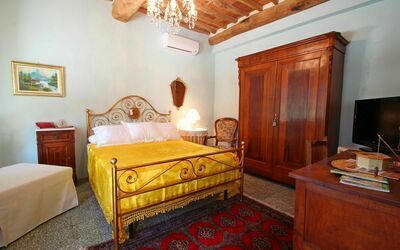 Rustico Chiasso is perfect for a relaxing vacation, and cultural one for visiting all the cities of Tuscany. 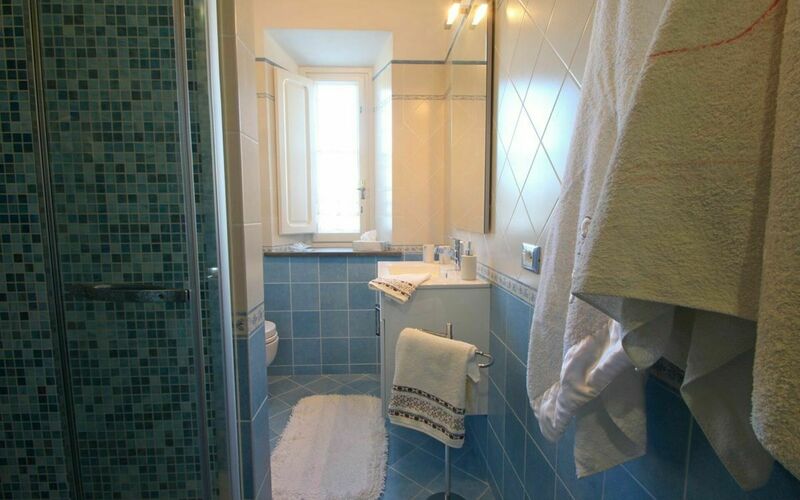 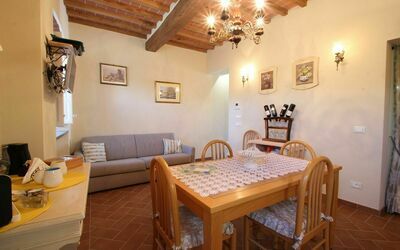 The holiday apartment is located in a small side street of Capannori, very quiet with little traffic, yet only minutes from supermarkets and all shops you need. The entrance is very rustic with a gate and held up by stone walls. 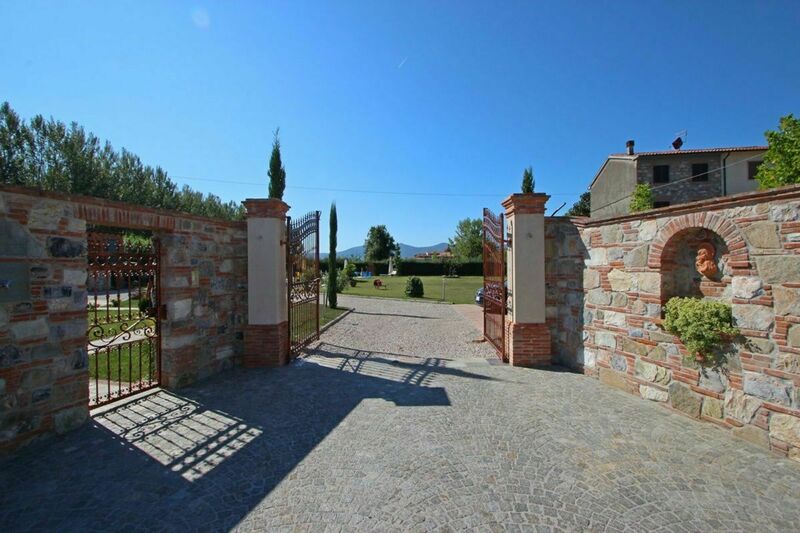 Upon entering, you will find yourself in front of the large garden of over 2000 square meters. 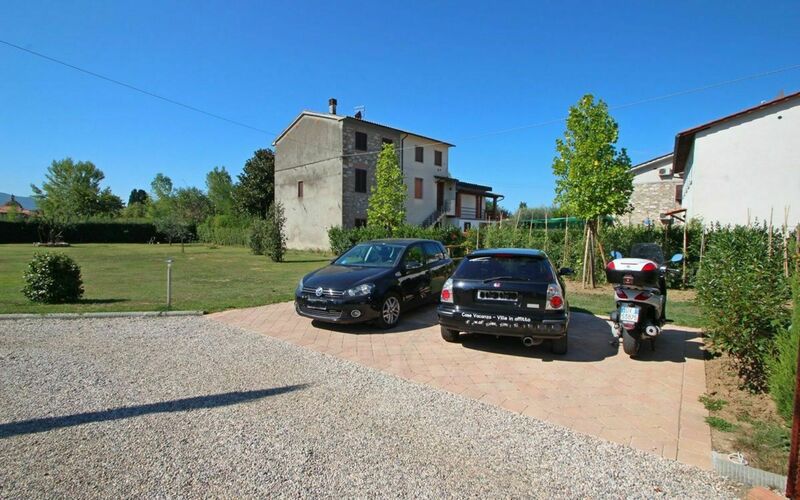 On the right after the entrance there is a parking space, but you can also park in front of the house. 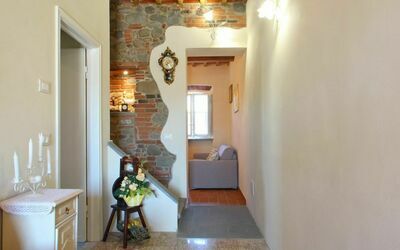 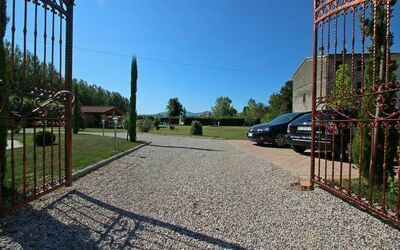 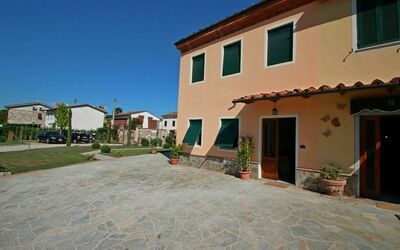 The apartment is located in the restored country house on the left and the owners live on the right, who will be at your disposal during your stay. 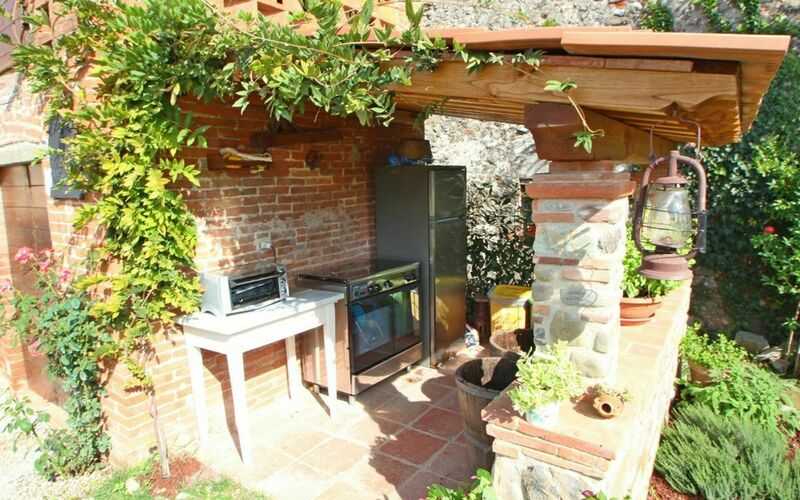 Next to the house you will find a table with umbrella and chairs. 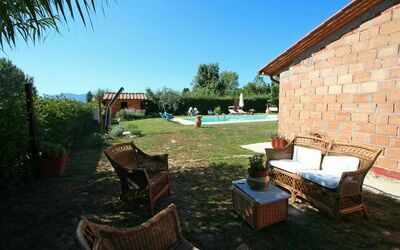 The garden and the entrance is shared with the owners but the swimming pool is private for guests. 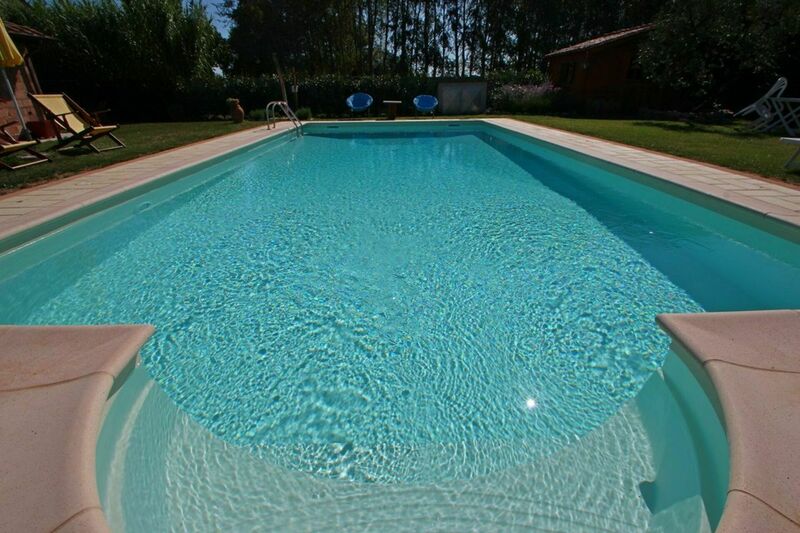 The pool area, which is located in front of the house, is completely new and only accessible to guests. They are available umbrellas and chairs. Near the swimming pool (open from May to September) is also a hot water shower. 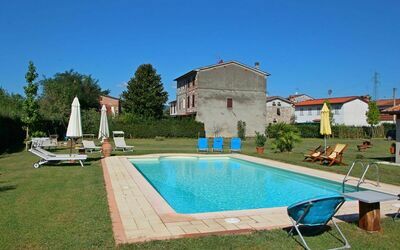 Opposite the pool is a small little house for only the Owners or can hold up to 2 additional people for an extra cost. 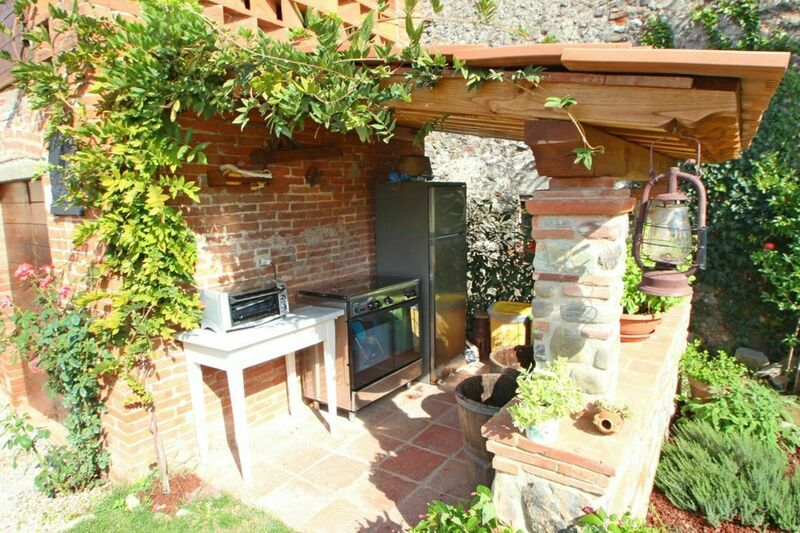 On the back instead a small relaxation area with armchairs. 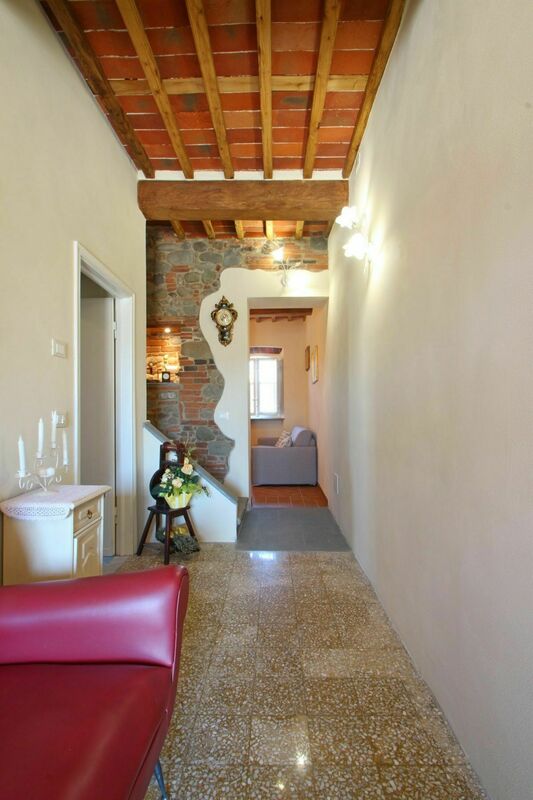 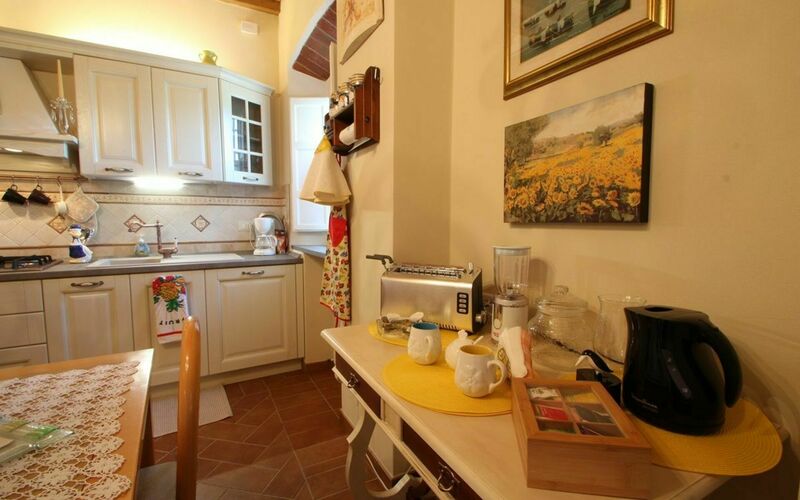 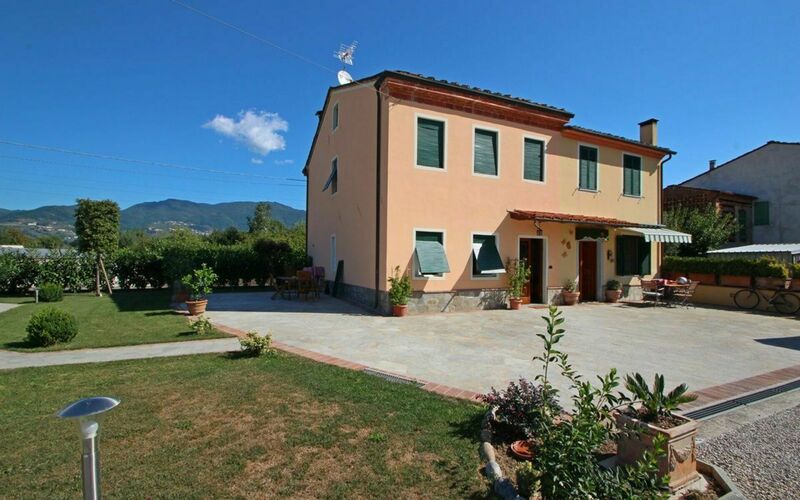 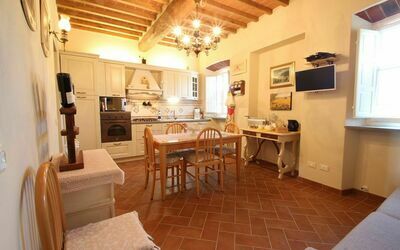 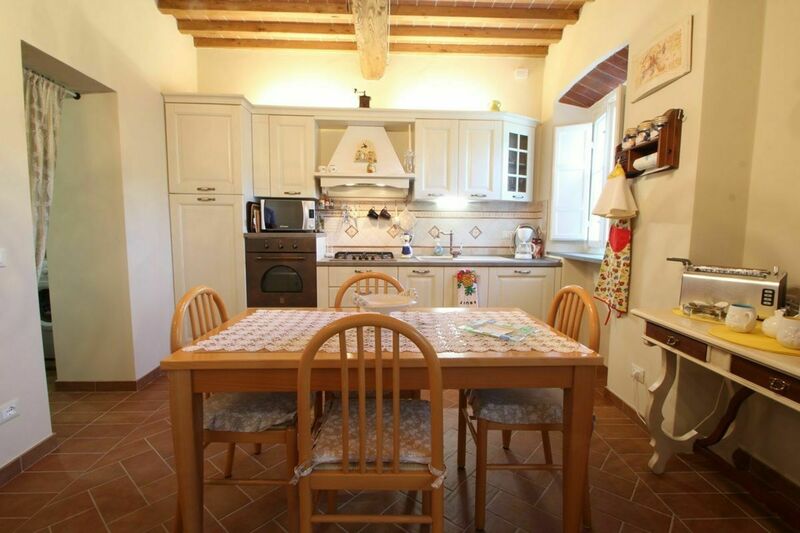 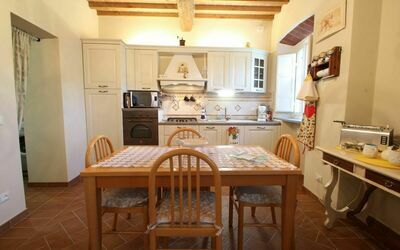 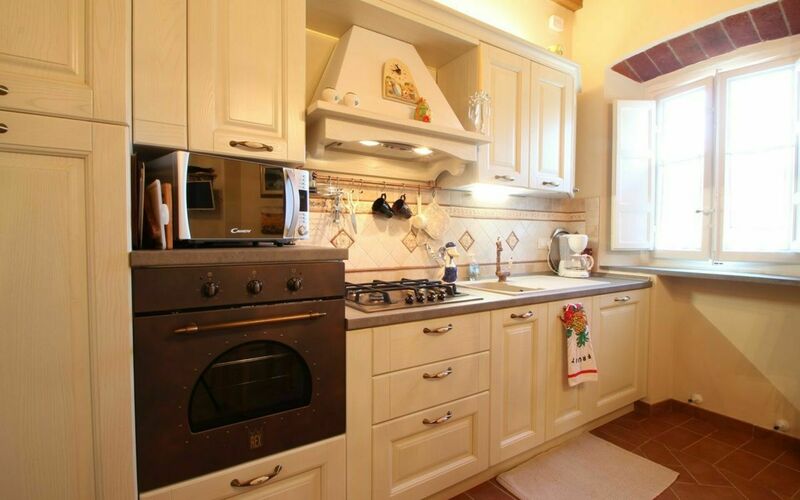 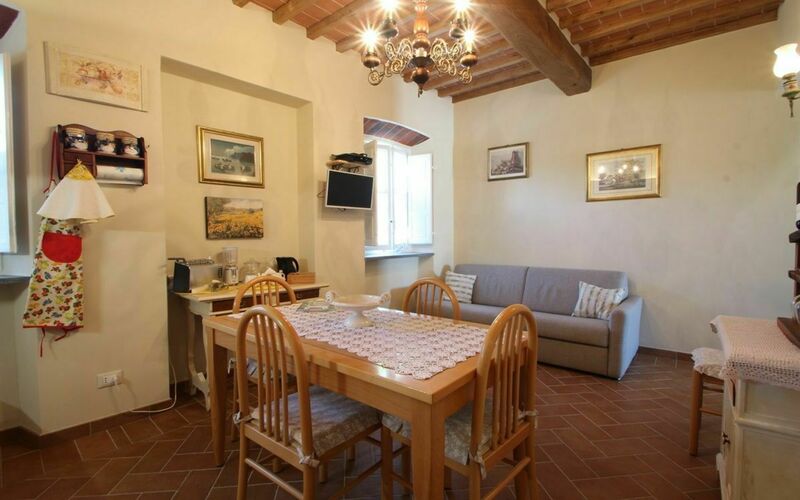 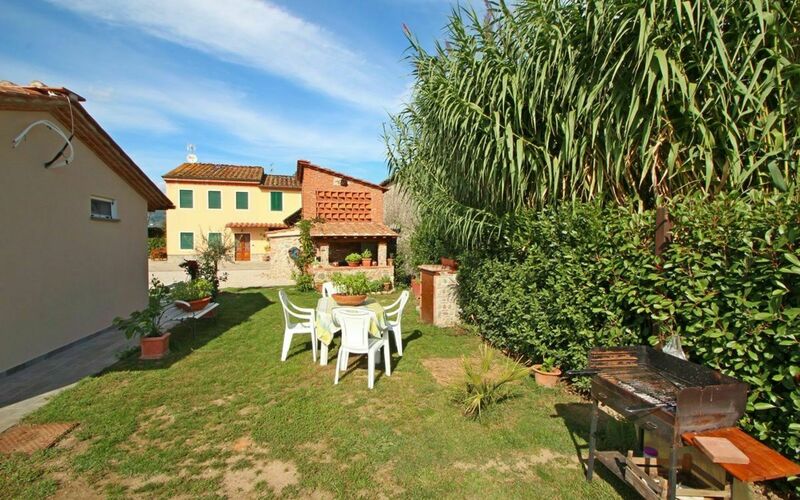 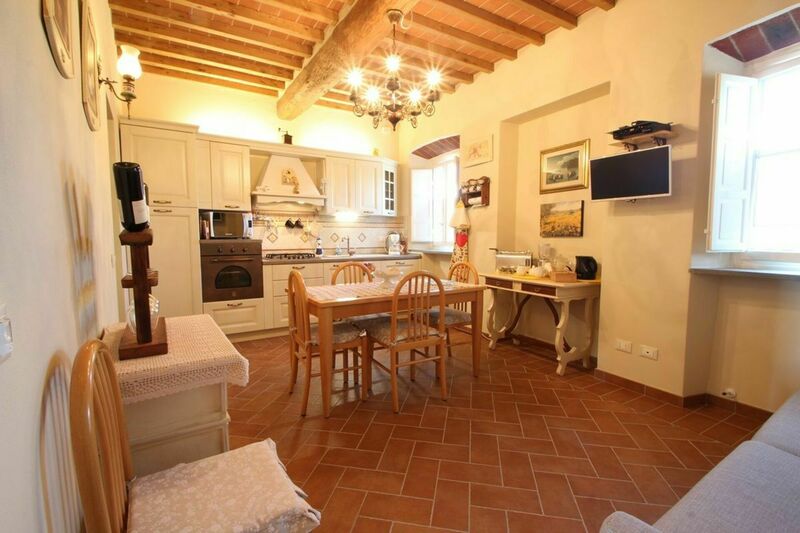 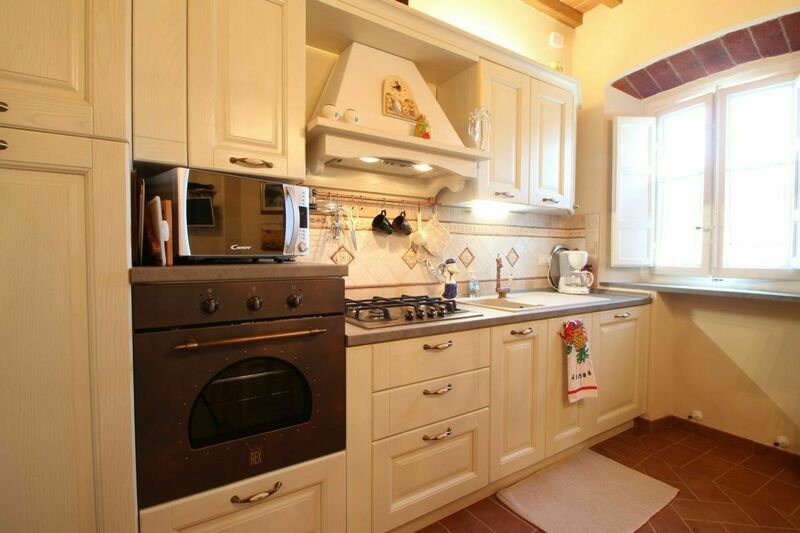 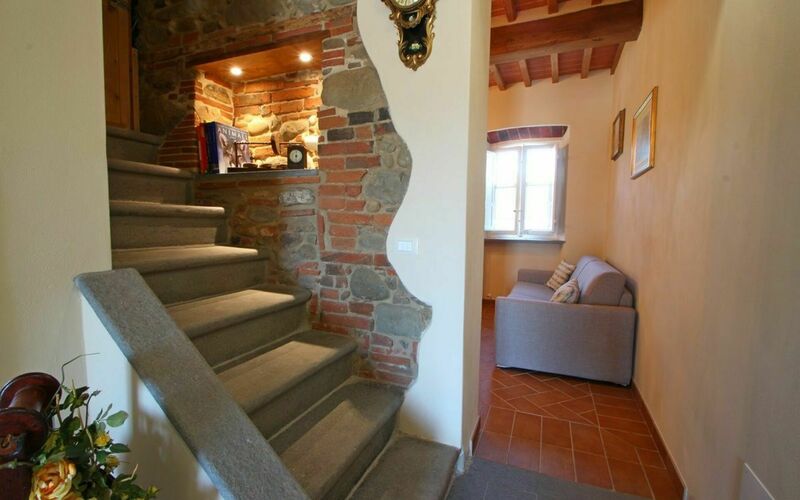 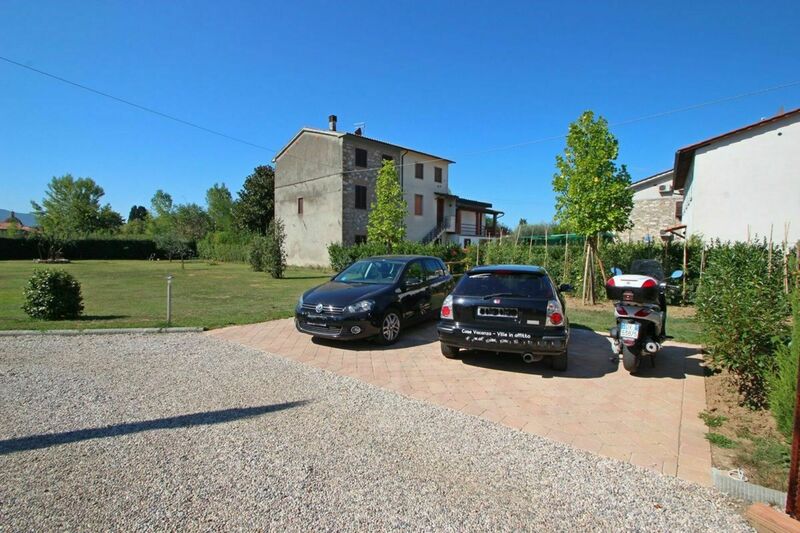 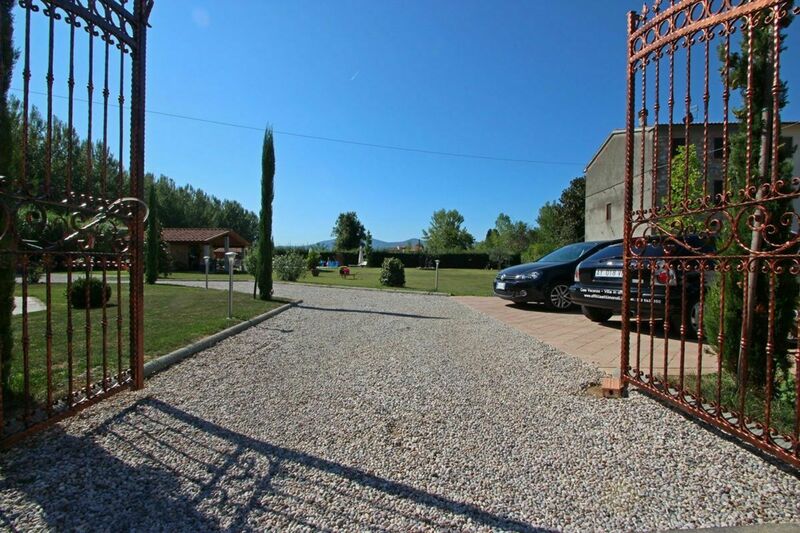 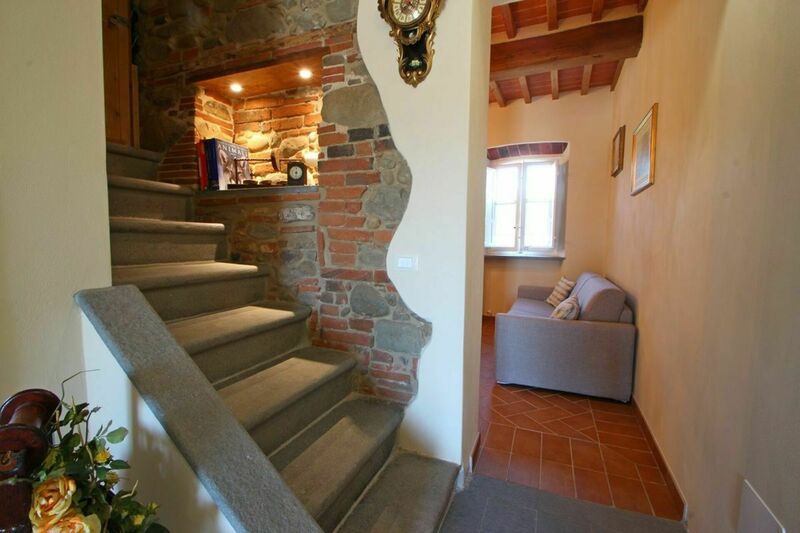 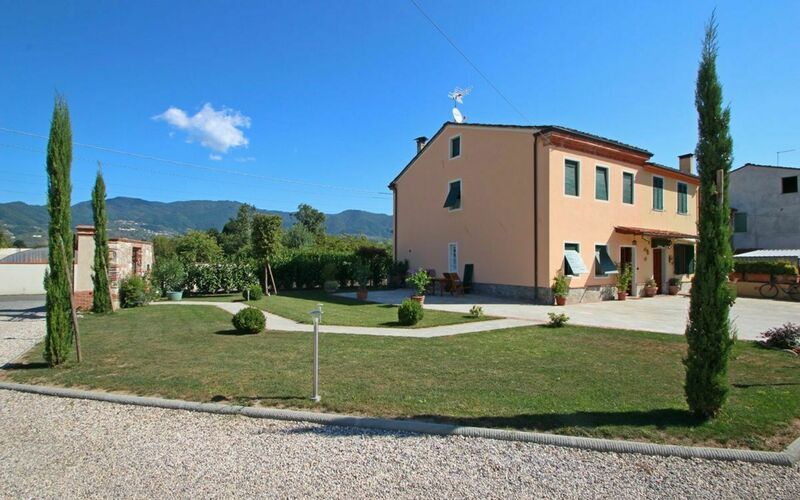 It is located on the ground floor and fully renovated in rustic style. The entrance hallway connects all areas of the house. 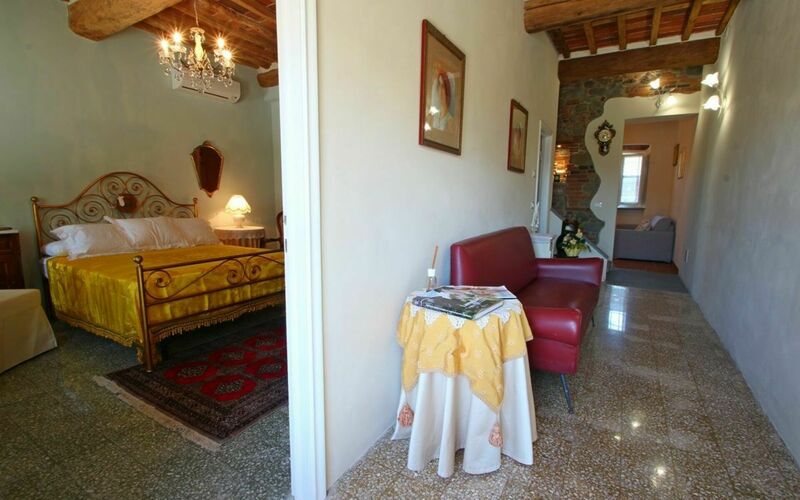 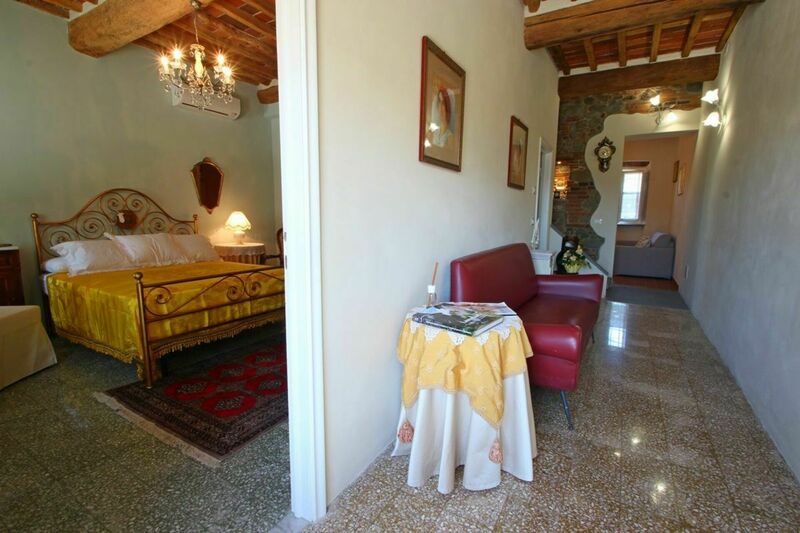 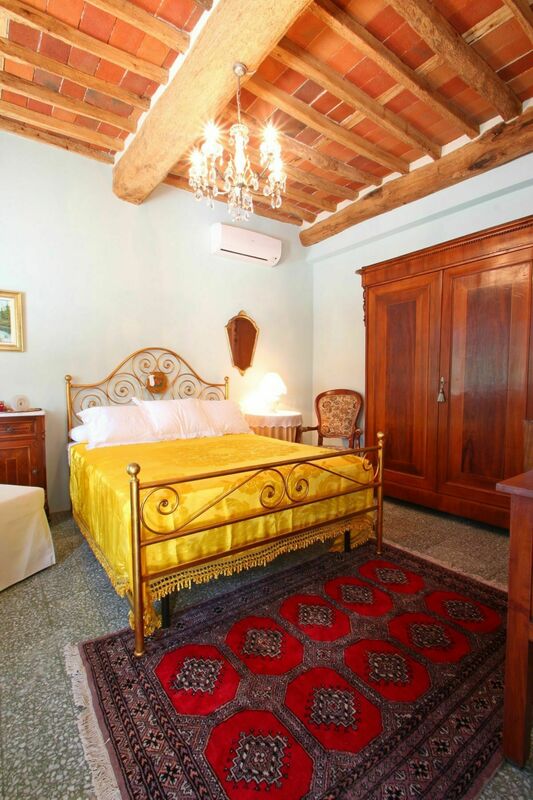 On the left is the master bedroom with air conditioning, satellite TV (astra), beautiful ceiling with wooden beams. 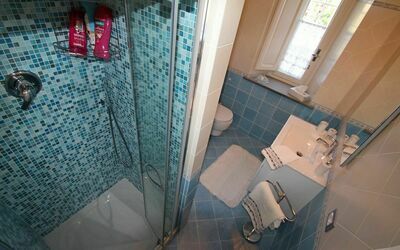 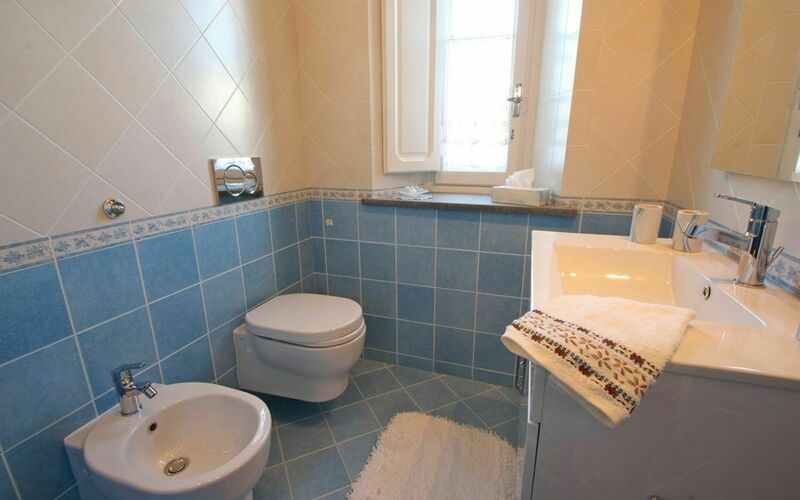 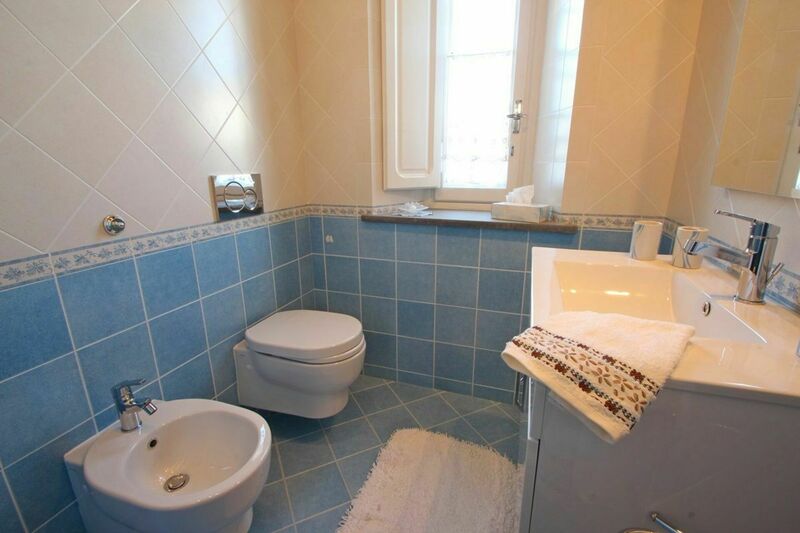 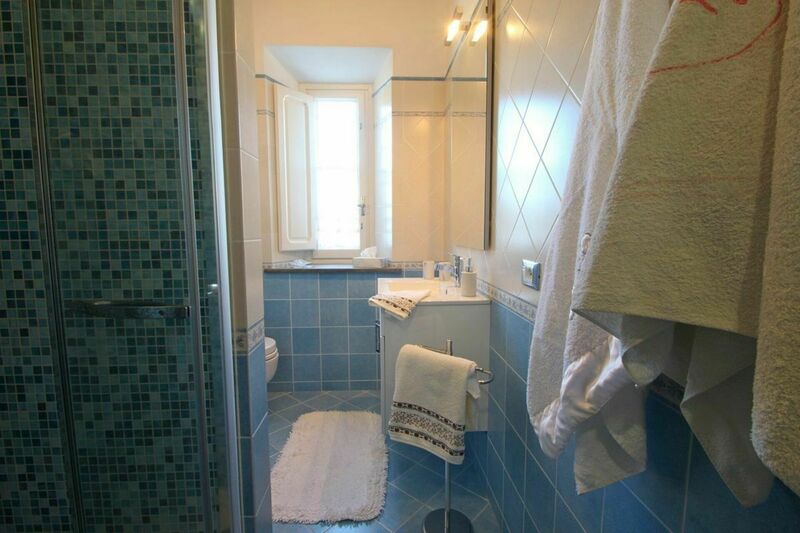 Subsequently there is a bathroom with shower, toilet and bidet. Sofa bed, TV, dining table and kitchen with 4 burner stove, dishwasher, oven, microwave, kettle, american coffee machine, toaster. On the left of the living area, there is a small closet with washingmaschine.